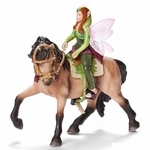 Schleich 42098 - A forest elf can ride nearly any horse because they are especially gentle, feather-light creatures. In addition, the other elves love forest elves and enjoy riding through the bright forests with them. 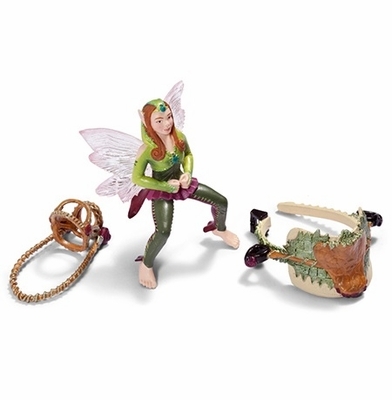 Set includes Forest Elf, bridle and saddle.